Our inspiration is a little stupid, but the movie Aliens, where the Marine leader is monitoring his team as they explore the disaster site. Yes, you could stay on the line/phone the entire time, but that is inconvenient and may pose more hazard to the team in the field. And there may not be reliable G3 or Internet available. There are personal GPS devices that can do a subset of our management, but they cost a lot and may not be available on site. And they do not let a team leader manage an entire distributed team. 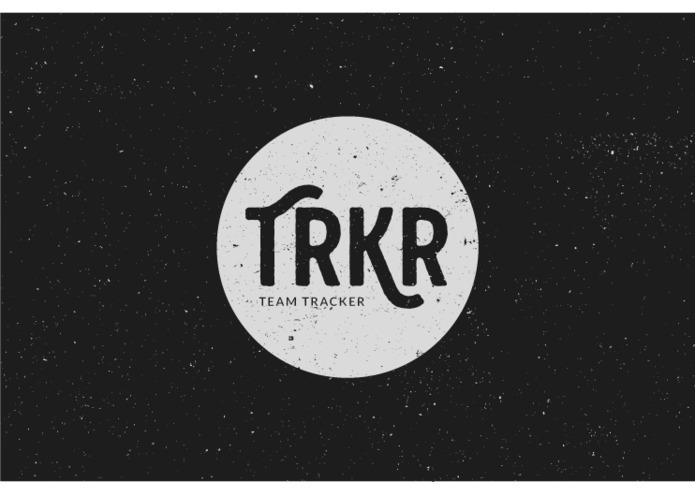 Our idea is a team tracking app (TRKR) that would allow team members to load a small app on their smartphones and then be tracked by their team leader via a web app (on a map). The smartphone app would be native, run in the background and ping the server every N minutes with location data (very low network bandwidth needed). The smartphone app could also detect movement (with the accelerometer) and ping new location data while on the move. this should allow for very low battery usage and minimal usage of GPS calls. TRKR can support delay-tolerant networks, including temporary long-distance WiFi networks and intermittent and low bandwidth G2 service. 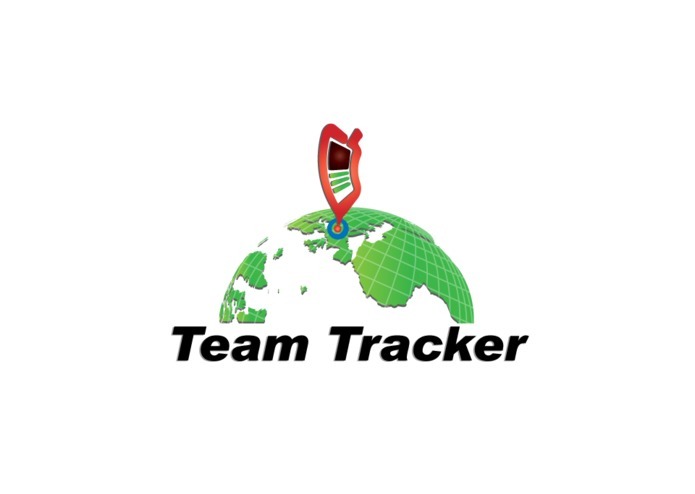 On the web app side, the team leader could track all of their human assets, as a group or individually, and see their tracks over time. 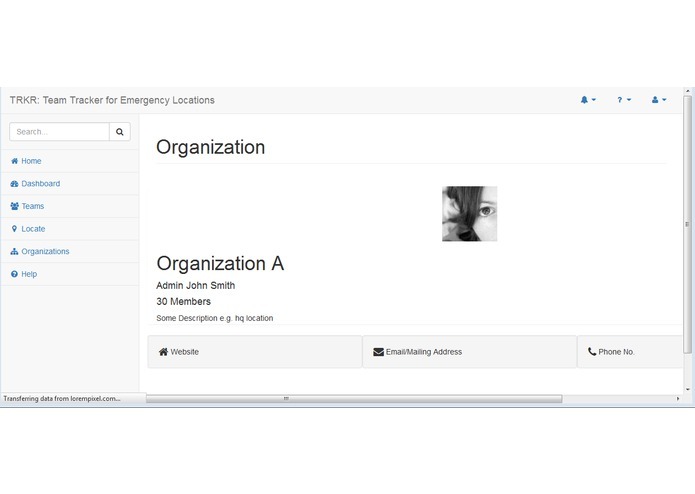 It would allow them to monitor team location in the field for security or medical reasons, signal to them (using a store and forward approach), and receive status updates from the field. A centralized API Service, written in Java and using MongDB for data storage. 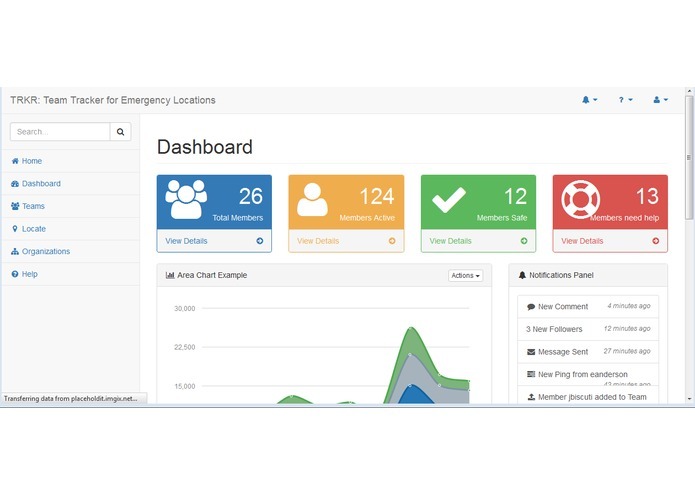 A Web Application, for account management, monitoring and endpoint updates. And multiple mobile "pingers", that send heartbeats with location and status from each team member's smartphone. We got the REST API (with Java and MongoDB) working and got part of the web app (angularjs) working. We got the Pinger working (code on GitHub) and need to clean up the web app and add more functionality. We needed more time and needed to complete our BlueMix integrations. Adding a weather map as an overlay to the team maps would have been valuable. 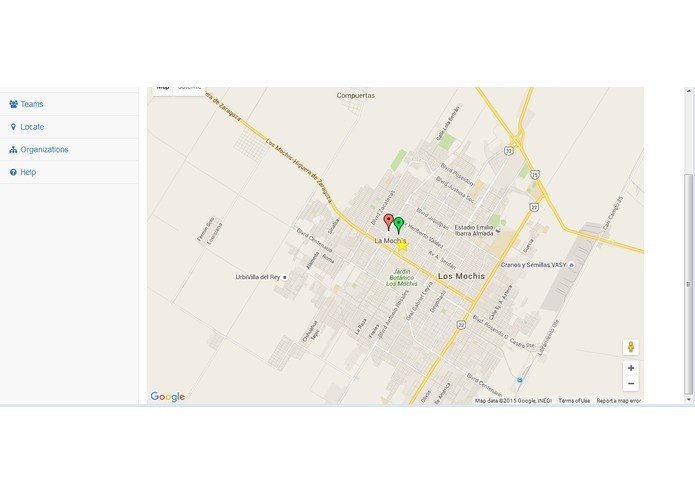 I worked on both the mobile app (for reporting location of workers) and the web app with location mapping. I also tied the backend database to the admin dashboard via our API (running in Dropwizard and MongoDB). 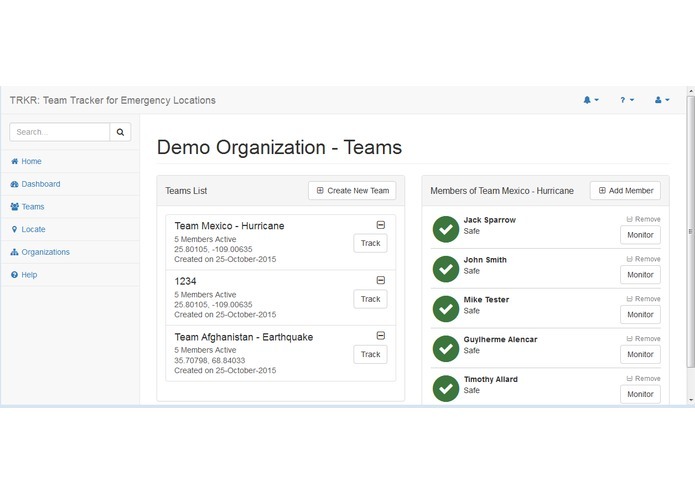 Wow - we won a Bluemixathon Category Runner-up Award – First Responders and Backend Support Teams!